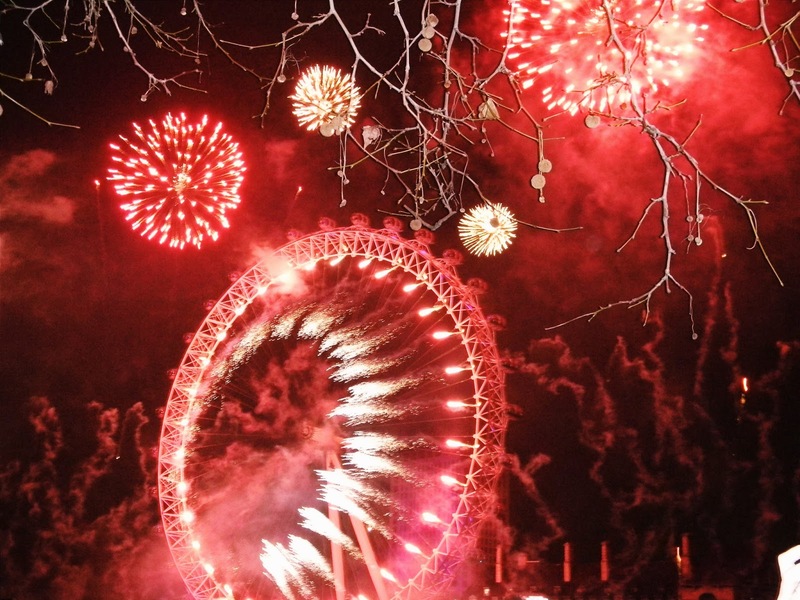 London is undoubtedly one of the best locations in the world to ring in the new year. 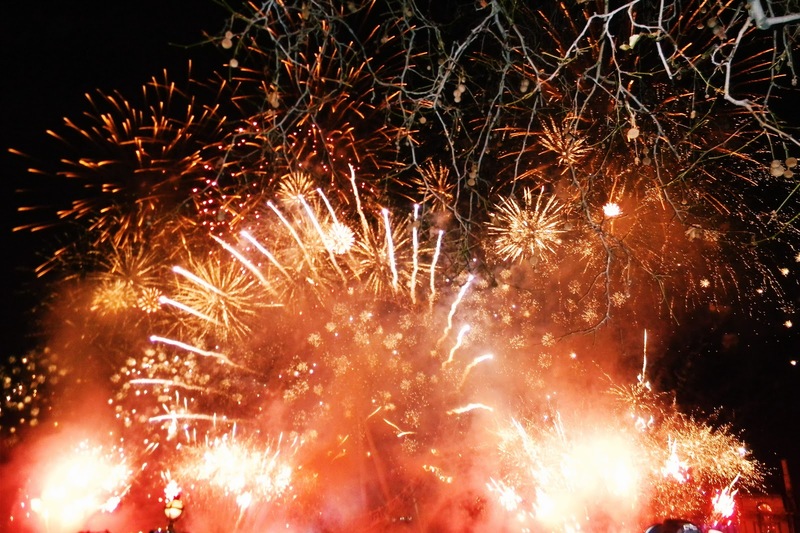 With an incredible fireworks display and all round fun, it's something you have to do at least once in your life! 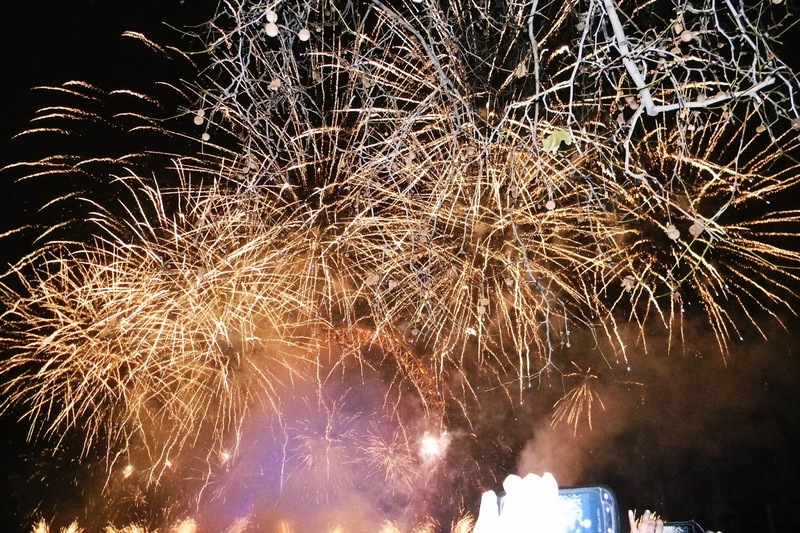 My family and I watched the fireworks display for free back in December 2012 but I believe nowadays you have to buy a ticket in order to access the viewing areas. According to the London.gov website, tickets cost £10 and are released in batches. In 2015, the ticket release dates were 19 June, 2 October, 12 November and 4 December. Since the event is no longer free to the public, some planning needs to take place in advance and, of course, there are no longer tickets available for purchase "at the door". It's best to buy your tickets as soon as they are released since the system works on a "first come first serve" basis. 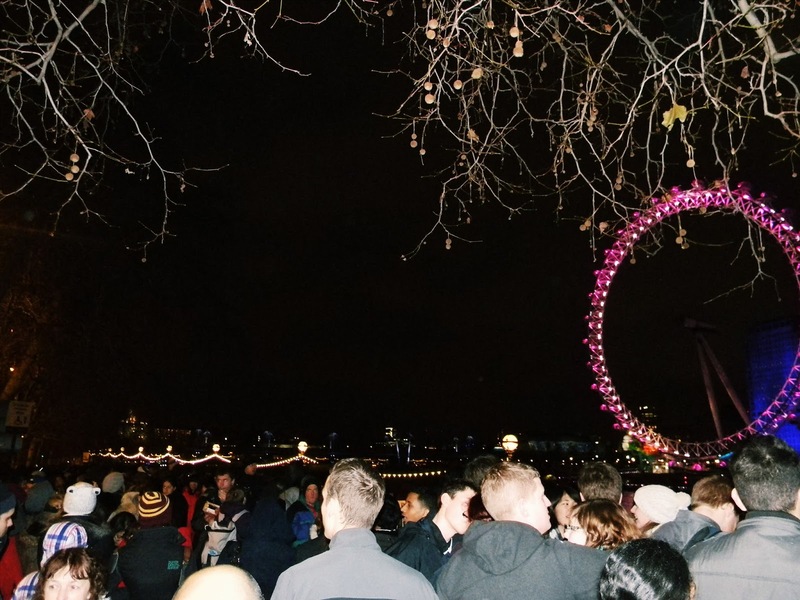 Even though I experienced NYE in London a little while ago, I believe that some of my tips are still relevant. I've also researched the ticketing system for your convenience. 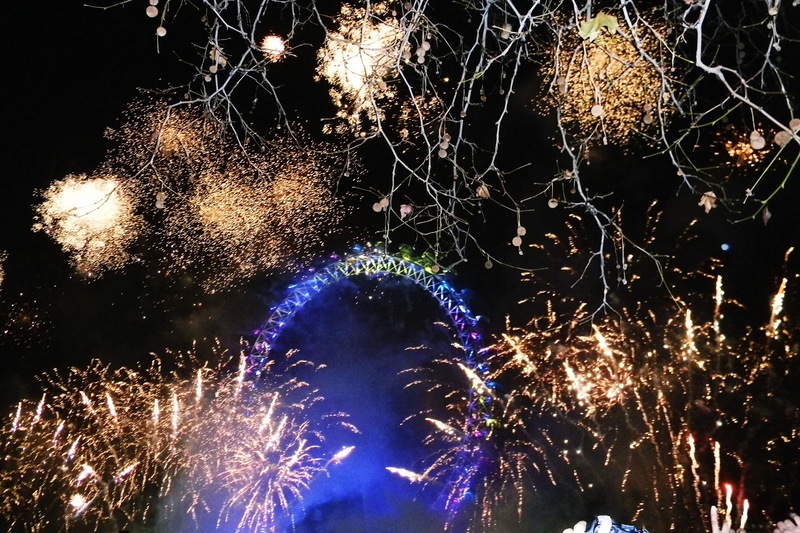 So here it goes, instead of a lengthy Top 10 list, here are my Top 5 Tips for an awesome NYE in London! 1. Find out about road & tube station closures. My family and I stayed in Reading, about 40 minutes outside of London, and we hired a car for our duration of stay. This meant that our NYE plans had to be tailored to driving in the city. On the 31st December, we arrived in London at 11h00, planning an entire day of sightseeing in the city. There are a number of websites that have information on road closures and exactly which roads fall into the "no driving" zone. For NYE 2015, transport information can be found at TFL.gov, which I reckon is the best website - from road closures to tube stops to buses and timetables! Note that roads start closing from 14h00 on the 31st so get into the city before then! Also, there is no Congestion Charge for those driving into London on this day. We left our hired car in an underground parking area outside the road closure zone, which was close to Pimlico tube station (Victoria line). Underground parking in London is not cheap but at least the car is out of harm's way and within a 20 minute walking distance from the NYE celebrations area. 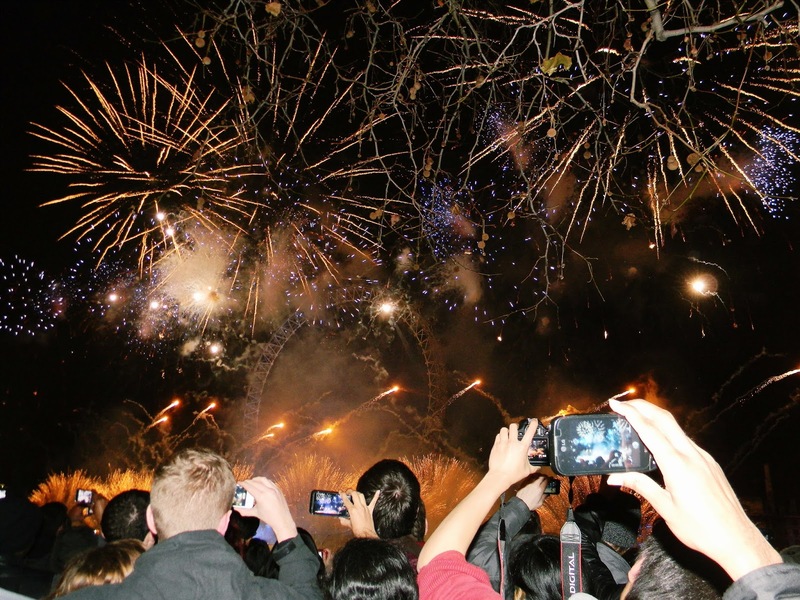 We could therefore spend the day sightseeing: Buckingham Palace, St. James' Park, Trafalgar Square, Soho & Chinatown before heading to the fireworks area. 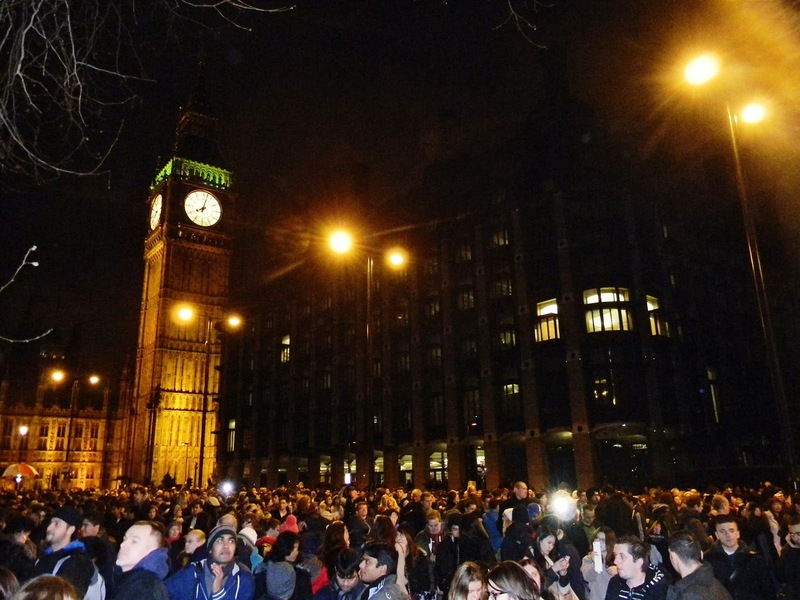 For those staying in London, find out (prior to NYE) the access points for your viewing area. For example, the Blue Area is accessed from the north side of the river i.e. opposite the London Eye. Some tube stations will operate as exits only from a certain time onward. 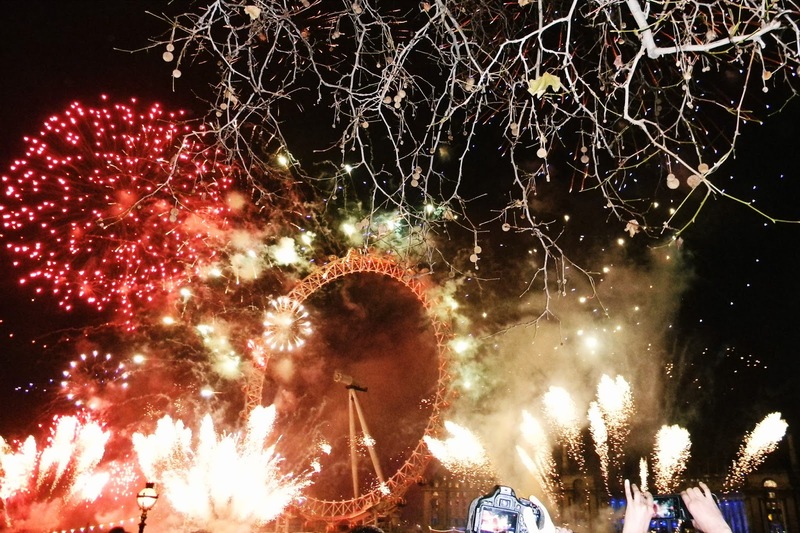 As you can see from the photo above, NYE in London is a fully crowded celebration! It's actually for this reason that they introduced the ticketing system because otherwise the crowds would be too large to control. My family and I arrived at Westminster tube station (Circle, District & Jubilee lines) at 17h30 on the 31st, after a day of sightseeing. Our reasoning for heading there so early was to just see how many people were already waiting. To our surprise, there were already people "camping" out at the ideal spots with perfect views of the London Eye. We decided to do the same and by 20h00, which is when I took the photo above, the area was completely full of people! Now that the ticketing system has been introduced, you can only access the viewing areas from around 19h00 and in some areas from 20h00. I would suggest being nearby your entrance from at least 1 hour before the opening time in order to dash to your ideal viewing spot once they open the entrance gates. 3. Find a good viewing spot! This tip is important for an enjoyable NYE experience, especially if you've gone through the effort of buying a ticket for a specific zone. The viewing area that I'd recommend is where my family and I went - and that's the Blue Area of today's ticketing system, stretching from (but not including) Westminster Bridge to Embankment Underground station. For me, this viewing area is ideal because you'll have the best views of Big Ben on your right and the London Eye directly in front of you. No matter which area you're in, you'll have good views of the fireworks - so not to worry for those without Blue Area tickets! It just depends which angle of the London Eye you'd prefer to see. Other ticket areas include the: Red Area (from Embankment to Temple Underground station), White Area (Westminster Bridge), Green Area (behind the London Eye) and Pink Area (Waterloo Bridge). Please note the area access points from London.gov's website. 4. Don't forget to bring along some useful items. Most people will worry about getting to and from their NYE area - and yes, that is important - but sometimes people overlook the small things that could affect the overall enjoyment of the night. The first thing corresponds with your viewing spot. I chose our viewing spot to be under a tree. This gave us some back support for the 6 and a half hours of sitting that followed. From my experience, I'd suggest dressing very warm! It rained for the entire day of the 31st but thankfully the weather cleared up later in the afternoon. However, it's important to bring a rain jacket with you in case the weather worsens. Bring something to sit on for the waiting period because the ground could be wet. Luckily, we had bought a few snacks and souvenirs beforehand so we used the plastic bags as seats. Additional cushioning would've be better though so maybe bring along an extra jersey to sit on as well. I would highly recommend purchasing some snacks before arriving at your area. Once entering your designated area, you won't be allowed to leave and re-enter. We bought some chips and sweets but I'd suggest having an early dinner beforehand. Note that there are toilets in the viewing area but, as expected, they weren't very clean. 5. Know the best route home. Make sure that you know the quickest and easiest way home - so for those driving home, avoid heading in the direction of closed roads (some only open at 06h00 on the 1st January). Also, try to avoid main roads so that you stay out of the traffic. This method worked well for my family and I - not only did we have a nice 20 minute walk to our car after midnight, we hardly sat in traffic and were back in Reading just after an hour of driving! If you're staying in London, find out the transport type most suitable for reaching your home destination. I noticed that bus lines after the fireworks display were quite long, although I can't compare it to the tube station lines. 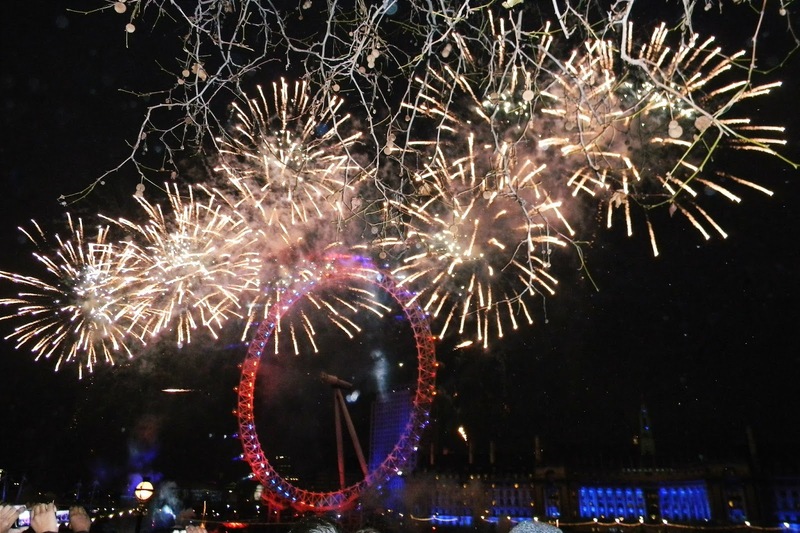 Note that travelling via Tube, bus, Tramlink and DLR is free between 23h45 on NYE and 04h35 on the 1st January. I also noticed that most people using London transport decided to wait at bus stops / head into the tube stations that were close to their viewing area. For me, this is not the best option. Do your homework beforehand and, if you don't mind walking, find bus stops and tube stations that are further away from the viewing areas. You'll find the London Walking Tube map at: TFL.gov Map, with the walking times between tube stops. Even if it means a 15 minute walk, you'll most likely still arrive home before the majority of other people! Visit TFL.gov's website for your relevant transport information. But my most important 'tip': Have the best time & Happy New Year! 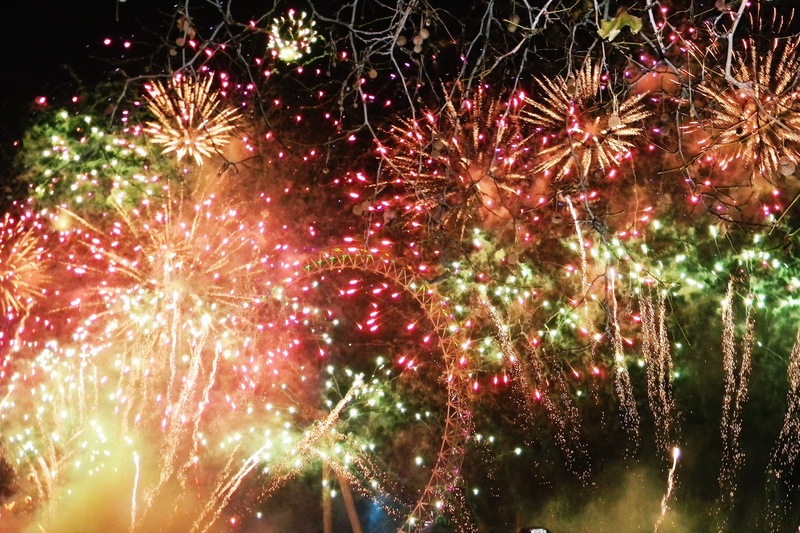 Got any NYE London tips to share? Comment below! © 2015 Before You Explore. All Rights Reserved. Powered by Blogger.